Mastodon, metal’s thinking man’s prog kings, have a new EP featuring four previously unreleased tracks coming out next month. Cold Dark Place (Reprise Records) will be the band’s eighth studio release and follows on the heels of the Georgia quartet’s brilliant full-length release Emperor Of Sand. Cold Dark Place will be released digitally and on CD on September 22 and, followed by the release of a limited-edition 10″ vinyl picture disc on October 27. Three of the four tracks, “North Side Star,” “Blue Walsh,” and “Cold Dark Place,” were recorded during the sessions for Mastodon’s 2014 album Once More ‘Round The Sun and were produced by Nick Raskulinecz (Alice In Chains, Deftones, Stone Sour). A fourth track, “Toe to Toes,” was recorded during the sessions for the band’s most recent album, 2016’s Emperor of Sand, and was produced by Brendan O’Brien (Pearl Jam, Stone Temple Pilots, The Black Crowes). Fans who pre-order Cold Dark Place will also receive an instant download of the track “Toe to Toes,” on September 1. 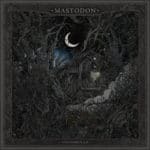 Mastodon https://sonicnation.net/photos/Mastodon is also embarking on more North American tour dates this fall. At press time, there was no St. Louis date slated. We hope the boys won’t forget us. Their last St. Louis show at The Pageant was a feast for the ears and senses. Previous PostThe Living End & The Dollyrots @ ORH 9.1 Next PostThe Toadies Hop Back Through St. Louis on 9/9/17.